How to Open Virtualization of your PC? 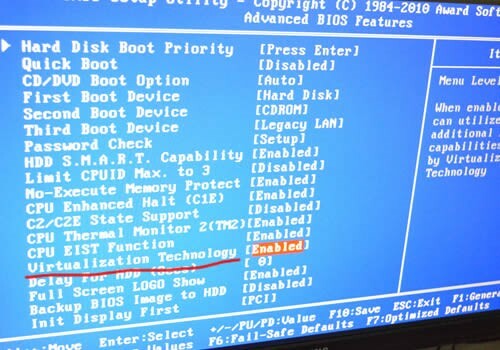 - power on your computer, press “Delete” to enter BIOS. 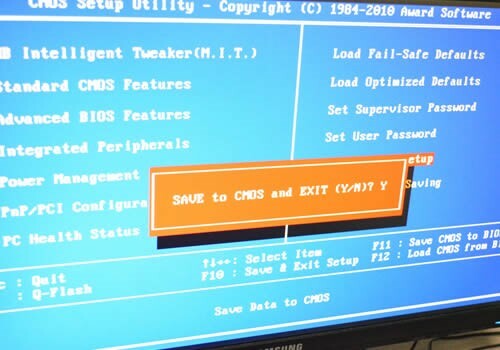 - After entering BIOS, find the selection “Virtualization Technology” and change "Disable" to “Enabled”. - Click "Save & Exit Setup". And choose "Y" to finish it. According to different brand, the key will be different, the keys may be F2, F8, F12, etc. You can google your model to sure it. Below are two pictures for reference. apinapin Saturday, August 13, 2016 2:07:39 PM(UTC) | i can't find vt in my laptop ASUS windows 7 please help me! 3 users thanked Marokuuuuu for this useful post. is there any chance to aplly it at laptop? Hi which step stucks you? Hello dear friend, we suggest you could Google this method on the Internet.And you also are able to contact company of your device to consult it. We are sorry for this inconvenient issue has caused you. Hello, what can i do for you? Could you tell us details about your question? Regarding with this question, we suggest you are able to Google if your device is supported with VT. If yes, you could search corresponding method to open it via Internet. We are sorry for this inconvenient issue has caused you. Hi my laptops cpu namely Core2Duo P7350 doesn't support intel vt. Can I still run koplayer smoothly just like blue stacks? I have 4gb ram and 1gb dedicated gpu. Im downloading it right now hope it works. I have the virtualization enable in the Bios. but... same probleme. KOPLAYER dont start and say error in VT Status. We feel so sorry to hear that. Could you please upload an image of the error? And which version of KOPLAYER do you use? i follow the link onk notice and found this tutorial forum, but the problem still appear. My Intel Virtualization Tech is already enabled. Hot to fix this problem, please help. We are sorry to hear about it. For this issue, we suggest you try to close other program or restart device to check and resolve this issue. May i ask have you installed anti-virus software? If yes, please kindly remove it and close firewall to restar KOPLAYER. Hello, my installation was stopped at 99% and indicated that I was missing and I have Vts memory, I have 2Gb memory and can not increase that capacity, my question is .. can be installed from virtual box? Hello dear friend, we are sorry to inform that there are at least 3GB RAM to run KOPLAYER smoothly. And we suggest you are able to check if VT has been enable? If not, please kindly enable it.And please kindly close Anti-virus software and firewall to launch KOPLAYER. And We suggest you increase RAM to run game better.Thank you for your understanding and support.